New research from Maui, Hawaii finds that plastic pollution is ubiquitous on the island’s beaches, but also shows that local policies can be effective in curbing the problem. The study, conducted by Surfrider member, Lauren Blickley, and others, sheds light on the important issue of marine debris, which poses major threats to marine wildlife and ecosystems, human health and safety, and tourism-based economies. Between 2013 and 2015, the study’s authors conducted dozens of surveys along Maui’s shoreline to monitor the accumulation and types of marine debris found along local beaches. Not surprisingly, plastics were the most prevalent type of debris, comprising 71% to 94% of total debris found at the different monitoring sites. Among the most common items were cigarette filters, nylon ropes and nets, straws, and food and beverage containers. The results of the Maui study conform to the findings of hundreds of studies around the world that show large increases in marine debris (mostly plastics) deposited on shorelines in recent decades. Finally, the study evaluated the effectiveness of local policy in curbing marine debris. Maui County implemented a plastic bag ban in 2010 and a tobacco free beaches policy in 2014. Although plastic grocery bags continue to rank as one of the top forms of litter in the state of Hawaii, no plastic grocery bags were recorded in the study, a finding attributed to Maui's plastic bag ban. However, the impact of the tobacco free beaches bill was less conclusive. Only one of three sites showed a significant decrease in cigarette filters after the bill's passage, leading the authors to suggest that enforcement and consumer responsibility may be important factors in the policy’s success. The authors conclude that solving the marine debris problem will require a holistic approach that combines public outreach, debris removal projects, legislation, and industry engagement. The study was published in the Marine Pollution Bulletin and was made possible by the Pacific Whale Foundation. 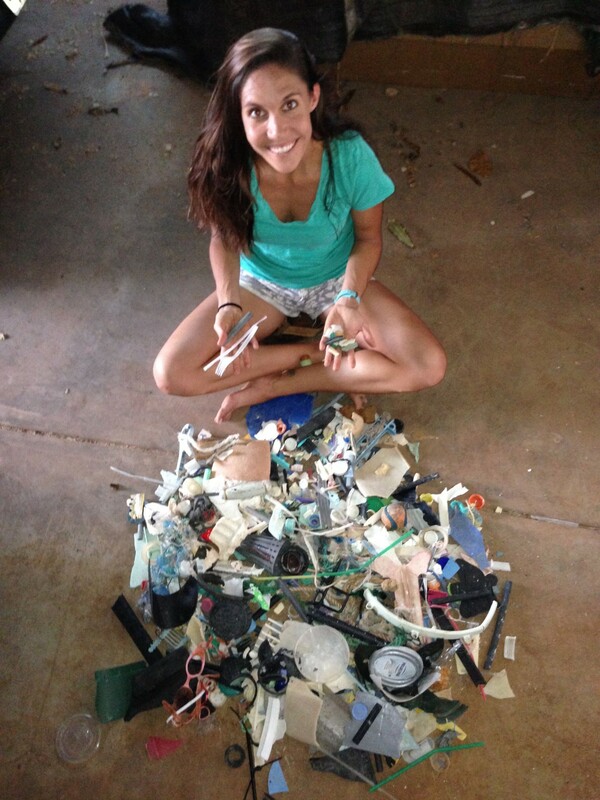 The study’s lead author, Lauren Blickley, is a member and former chair of Surfrider’s Maui Chapter. In 2014, the Maui Chapter partnered with other local groups to help pass the Maui Smoke Free Beaches policy.